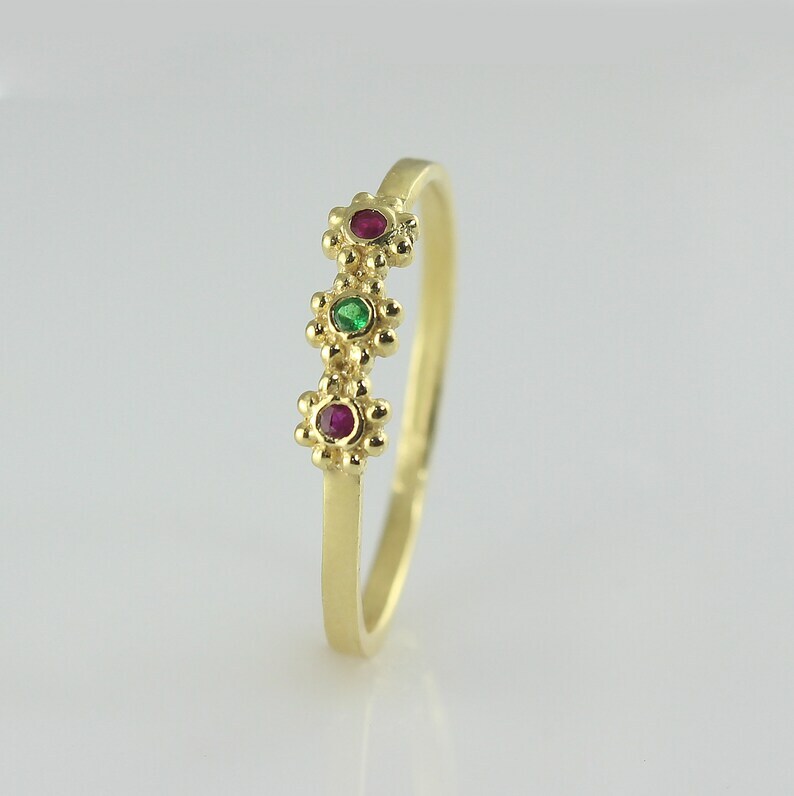 14k / 18k solid yellow gold engagement ring for women, with gorgeous Ruby and Tsavorite stones. Great choice for a unique and alternative engagement band! Fabulous 14k / 18k solid yellow gold engagement ring with 2 beautiful Ruby stones and one unique Tsavotie gemstone in the middle. This amazing combination of gemstones makes this ring even more unique as an engagement band for your special someone. The stones are nestled in a solid 14k yellow gold nest, keeping them safe from harm for years to come. The band it self is smooth and super comfy to wear. This combination is timeless and will match any outfit from casual to evening. * Band width - 1.45 mm / 0.057"
* Thickness - 1 mm / 0.039"
* Diameter of flowers - 3.5 mm / 0.138"